But What is a Midrange? What Does a Woofer Do? People love high quality audio experiences – to the point where many are willing to pay a premium to install a terrific new surround sound system in their home or a high quality stereo in their car. But understanding the anatomy of a speaker and learning what things like tweeters, midranges and woofers actually do (and more importantly, how they work together) is the key to making sure you’re spending your hard-earned money in the right way. To understand exactly what a tweeter does, you only need to refer back to how it got its name in the first place. Think of the sound a bird makes – commonly written out as “tweet tweet tweet.” It’s fairly high pitched, which tells you everything you need to know about this particular element of a speaker. Tweeters are intended to reproduce higher audio frequencies as accurately as possible – typically those that fall within the range of 2,000 Hz to 20,000 Hz. The higher end of this range is generally considered to be the “upper limit” of what the human ear is capable of hearing, provided that you don’t have any type of inner ear damage working against you. Tweeters are designed using a voice coil that is suspended within a fixed magnetic field. The voice coil itself produces a variable magnetic field that, when working in tandem with the aforementioned fixed magnetic field, allow the voice coil (and the associated diaphragm) to vibrate. This vibration is ultimately what generates the sound you hear whenever you use your speaker. Depending on the application, specialty tweeters can be manufactured to reproduce frequencies as high as 100 kHz – though this isn’t necessarily common on every speaker that you find. A midrange, commonly referred to as a squawker to continue with the “animal noise” theme, is designed to accurately reproduce sound frequencies that typically fall into the range of 250 Hz to 2,000 Hz. This also uses vibration to operate – this time in the form of a midrange driver (hence the name) that moves back and forth to create the sounds you hear. 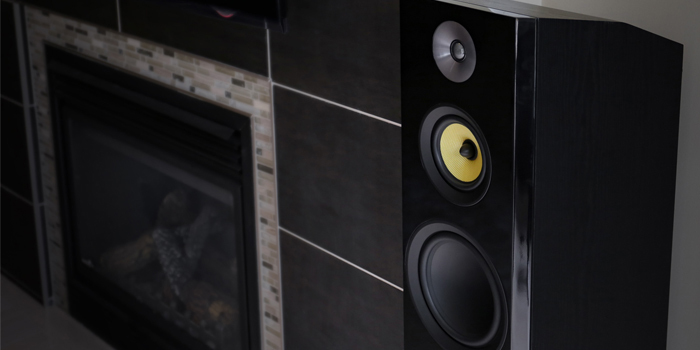 The midrange may actually be the important element of a speaker, as this range is where the majority of the sounds that you hear will fall into. It’s what allows your speaker system to accurately recreate particular musical instruments, for example, and especially the human voice. Think of a woofer as essentially the exact opposite of a tweeter – whereas a tweeter produces high frequency sounds, a woofer is responsible for those low sounds – usually between the ranges of 40 Hz and 500 Hz. Even the name is similar – the “tweet tweet tweet” of a bird is high-pitched, while the “woof woof woof” of a dog is low and powerful. Woofers use a voice coil (which is attached to the back of a speaker cone) and a magnetic field to form what is usually called a “linear electric motor.” When electrical current flows through the voice coil, the coil begins to vibrate. This vibration pushes or pulls the coil against the speaker cone, creating the low frequency sound waves that you’ve come to enjoy. Interestingly enough, many people don’t realize that a subwoofer and a woofer are actually two different things. Subwoofers are specially designed woofers that can be used to reproduce very low frequencies, usually getting down to between 20 Hz and 120 Hz. This is a large part of the reason why subwoofers are mainly used in things like home theater systems and PA systems – when you’re watching your favorite movie and you want to feel like you’re IN that massive explosion that the characters are running away from, you need something that can go as low as possible and only a subwoofer will do. Together, all of these elements work together to create the type of rich sonic experience that most people put a premium on. The two goals of any speaker are always “accuracy” and “immersion.” By accurately reproducing a huge range of sound frequencies, the sounds coming out of your speakers sound more like the way they would if you were hearing them in real life. This creates a sense of immersion, allowing you to FEEL like you’re standing on stage with your favorite band or are inside the room when two characters are talking. It’s less about conveying information through sound and more about making you forget that you’re enjoying a piece of entertainment in the first place. 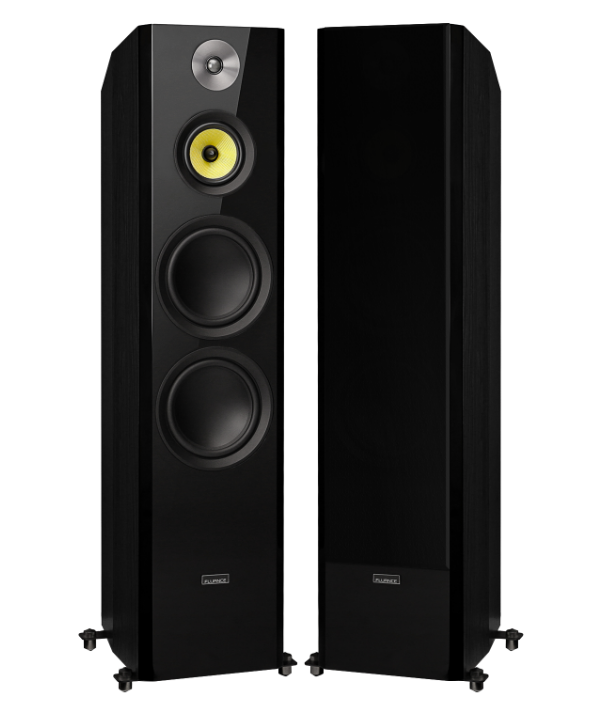 The Fluance Signature Series Hi-Fi Floorstanding Speakers will transport the concert into your living room.